Our original line of duck decoys is still going strong in the Hunter Series. True-to-life postures with vivid color schemes combined in a durable package designed for hard use. And with 17 species available, all your flyway needs are covered. 60/40 Dura-Keel™ design guarantees a perfect ride in any situation. Our original line of duck decoys is still going strong in the Hunter Series. True-to-life postures with vivid color schemes combined in a durable package designed for hard use. And with 17 species available, all your flyway needs are covered. 60/40 Dura-Keel™ design guarantees a perfect ride in any situation. Over-sized and life-sized versions increase versatility which in turn amplifies drawing power to finish ducks in close. 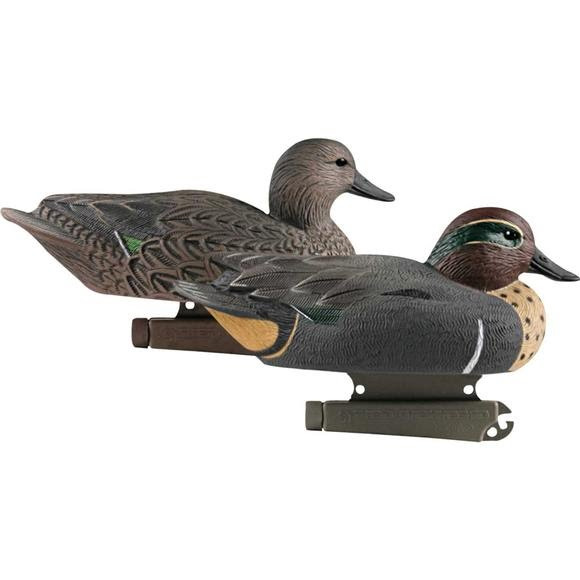 These decoys are the ultimate blend of economy and performance.